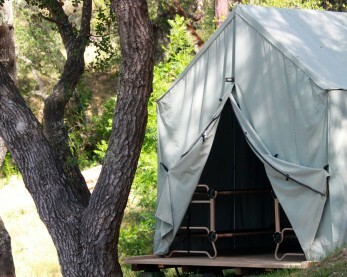 Feel like roughing it but prefer a little extra comfort? 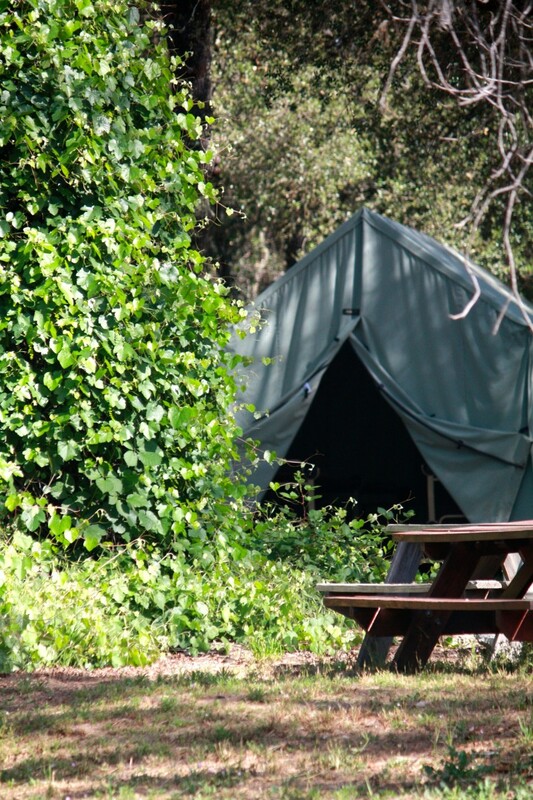 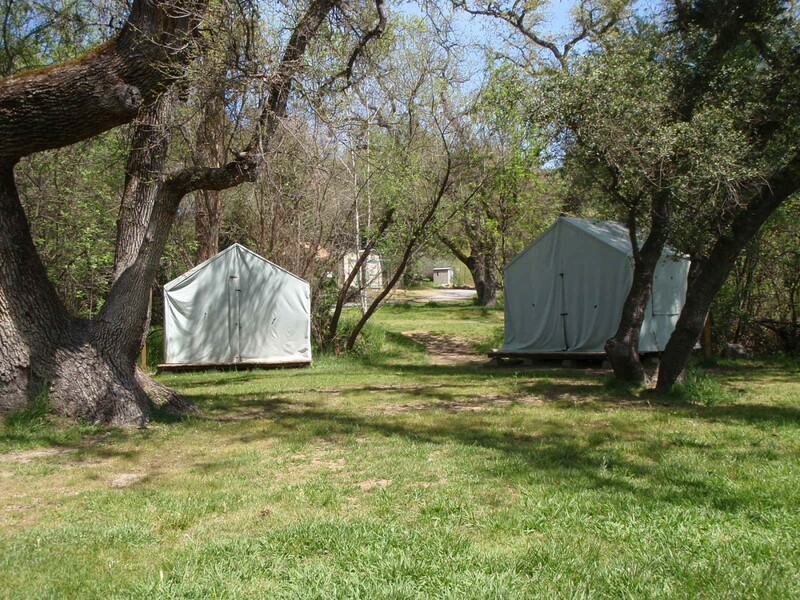 You can enjoy camping in one of our canvas cabin tents. 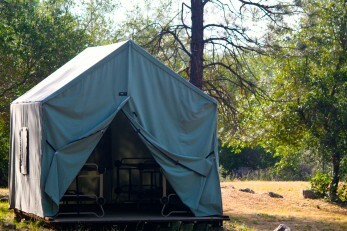 They accommodate up to 4 people, each containing 2 bunk bed cots. 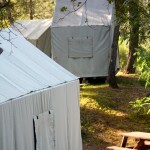 If you have a bigger group to accommodate then we have several tents that can hold up to 8 people with 4 bunk bed cots. 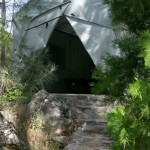 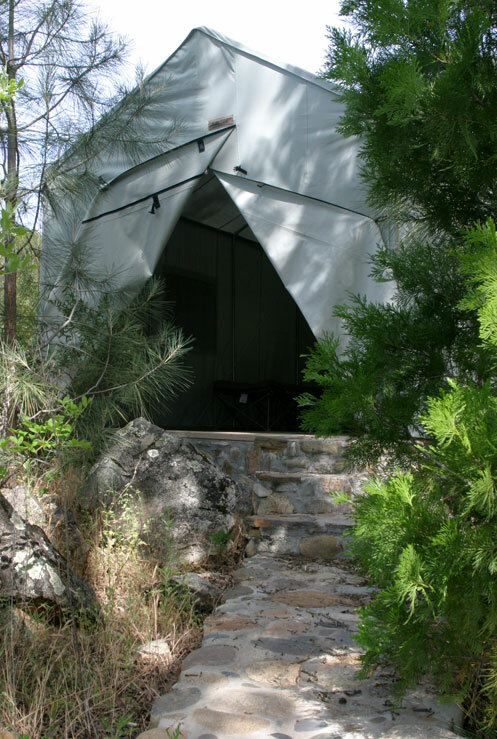 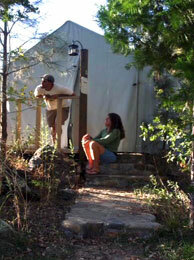 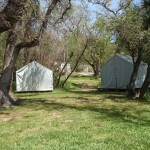 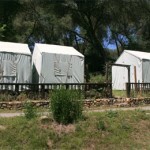 Cabin tents to accommodate four people are available at your convenience for $60 per night. 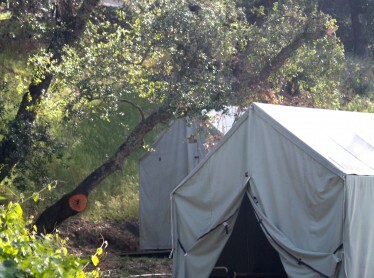 Each person will need to bring a sleeping bag and pillow. 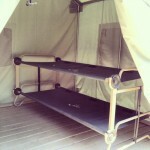 If you prefer a little extra comfort when sleeping on the canvas cots, we recommend bringing a sleeping pad. 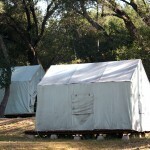 Don’t want to bring your own? 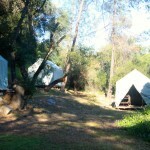 We have sleeping pads available for rent for $5 per pad. 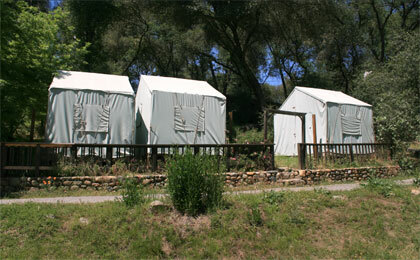 Cabin tents to accommodate eight people are available at your convenience for $72 per night. 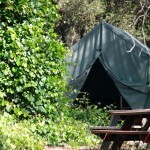 Each person will need to bring their own sleeping bag and pillow. If you prefer a little extra comfort when sleeping on the canvas cots, we recommend bringing a sleeping pad. 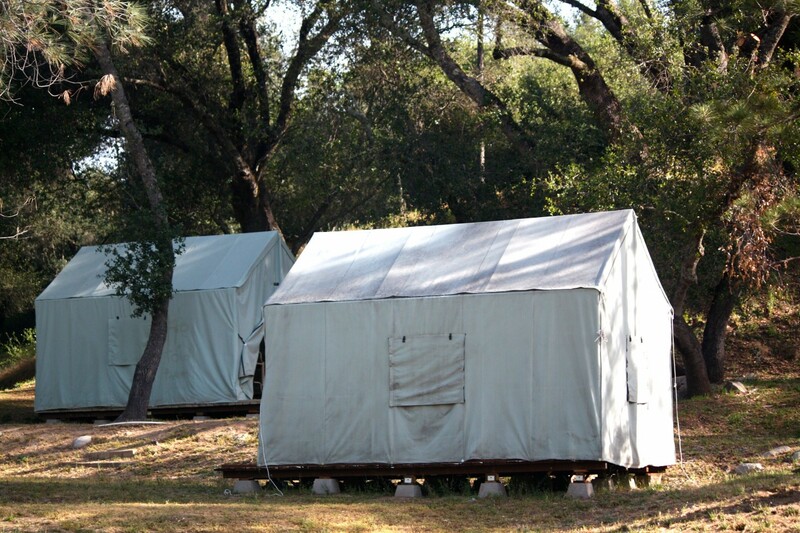 Don’t want to bring your own? 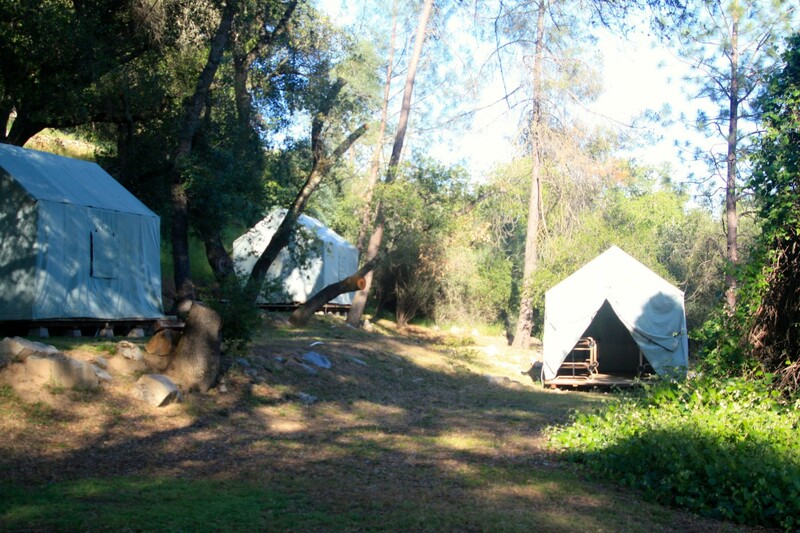 We have sleeping pads available for rent for $5 each. 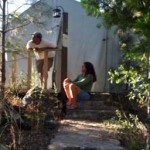 Looking for something a bit more comfortable? 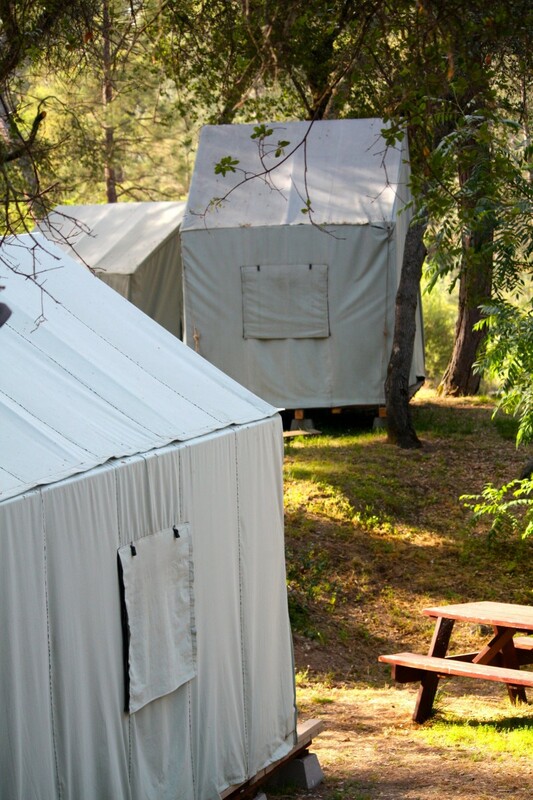 Our glamour cabins are structured exactly like our canvas cabin tents, but instead of sleeping on a canvas cot, guests enjoy sleeping in beds with comfortable mattresses and pillows.